Welcome to Desert-Prime, Mitzpe Ramon. 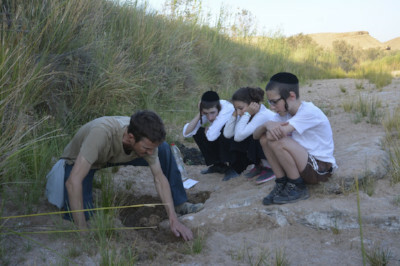 Here, we provide a class A experience of the Israeli desert. Jeep Tours Mitzpe Ramon - Explore Israel's Negev desert on a premium Jeep tour to the Ramon crater (Makhtesh), the Zin valley or other "hidden gems" of the Negev desert. If not by foot, Jeep tours are a great way to get to know the area in a short time and observe the spectacular scenery of the Negev desert. Try rappelling in Mitzpe Ramon with our "top of the line" new gear and professional guides who will lead you safely through this exciting and breath-taking experience. The Ramon crater rappelling is no doubt one of the more exciting yet safe things to experience in the area. You could also enjoy unique stargazing in the Ramon crater astronomy adventure on a clear desert night and outdoor yoga sessions to the beutiful view of the desert. Also more desert attractions in Mitzpe Ramon area and outdoor activities are available, from custom families and companies fun days to camping/glamping services. Jeep Tours Mitzpe Ramon - Get to know Israel's Negev desert on the Makhtesh Ramon crater Jeep tour to the beautiful Ramon crater. 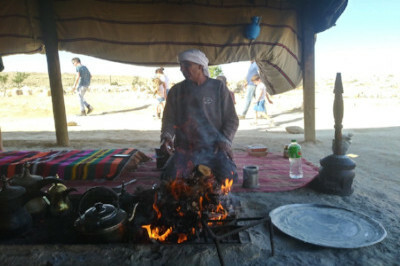 Venture on a jeep tour to enjoy Bedouin hospitality, or taste wonderful wines at a local wine farm in the Negev desert. Tour Mitzpe Ramon area in premium air conditioned advanced vehicles while chatting with your local guide and discovering the area's wonders. 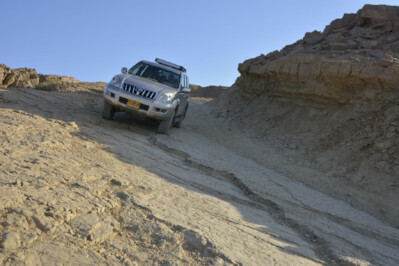 Sunset, sunrise, or mid day Ramon crater jeep tour, will each give a diffrent taste and feel of the desert. If you're in the area don't miss out on Mitzpe Ramon jeep tours! 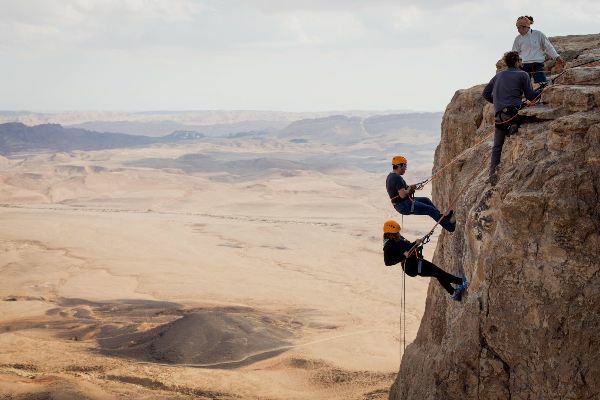 Try the exciting Mitzpe Ramon rappelling experience with our "top of the line" new gear and professional guides who will lead you safely through this breath-taking experience. When up on the cliff, you will witness the dramatic beauty of the Makhtesh Ramon crater below you, and on a good day the Jordanian highlands straight ahead. Take a good breath and let yourself down - rappelling the Ramon crater rim - rappelling in Mitzpe Ramon. 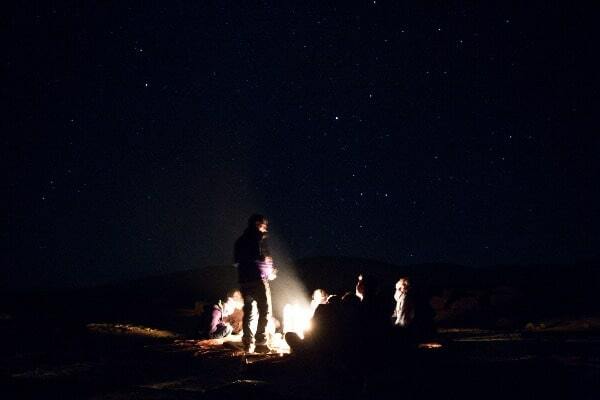 Watch the stars on a stargazing/astronomy activity in the middle of the desert getting to know the night sky and enjoying a night time bonfire with your fellow company. 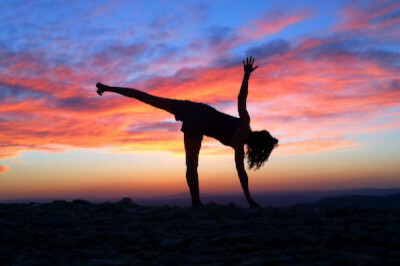 Finally to relax from all this excitement, join a body and mind experience on an outdoor desert yoga session in the pace of the desert surrounded by its' silence and beauty. We also provide various desert outdoor activities from Mitzpe Ramon such as custom families and companies fun days, camping/glamping services and more!